It was Edgar Degas who said, ‘Art is everywhere, you just sometimes need a trained eye to see it’. Well, on May 1st, with trained eyes aplenty, art really was everywhere and came together for one inspirational journey – a train journey through some of the most beautiful art-inspiring landscapes in Britain. 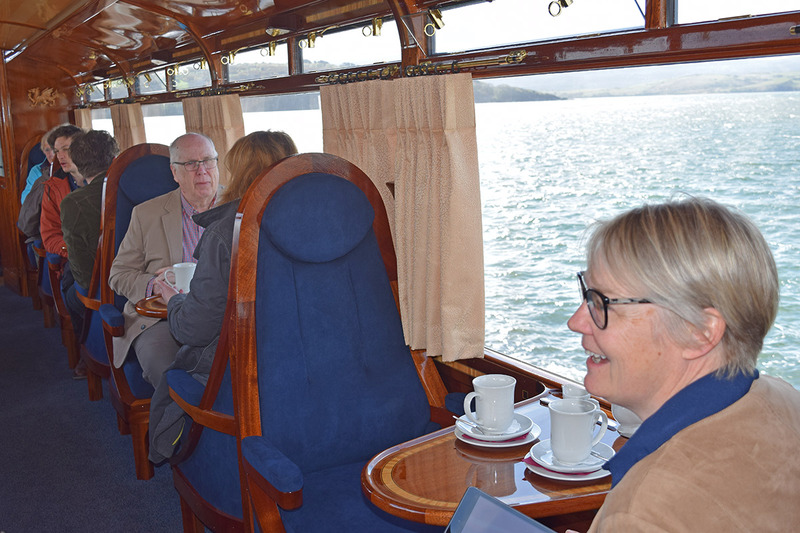 A journey through the heart of the Snowdonia National Park on the Ffestiniog Railway and specifically on their very latest Pullman Observation Carriage Number 152, making its inaugural trip before entering service on Saturday 12th May. On board the train, were a selection of acclaimed artists from the Gwynedd region, all members of Helfa Gelf/Art Trail, North Wales’ biggest Open Studio Event, and all there to take part in a competition to have their work exhibited later this year in the brand new multi-million-pound Welsh Highland Railway Station currently under construction in Caernarfon and due for competition in September 2018. “The artists have until Friday 6th July to make their submissions, which must be based on the Welsh Highland Railway and express either ‘Views from the train’, or ‘Train from a location’” said Gwynedd Helfa Gelf committee member Val Lewin, who continued “Work can follow the traditional form of railway posters, which were extremely popular in the middle decades of the 20th century and are now very much sought after by collectors, or be a modern take upon those themes”. From the works submitted, twenty will be selected for the exhibition, three of these will be judged winners by an expert panel and a fourth winner will be chosen by the public. All winners will receive £200, plus have their work reproduced as posters to be sold throughout the Ff&WHR’s shops and stations, each winner receiving royalties on sales. 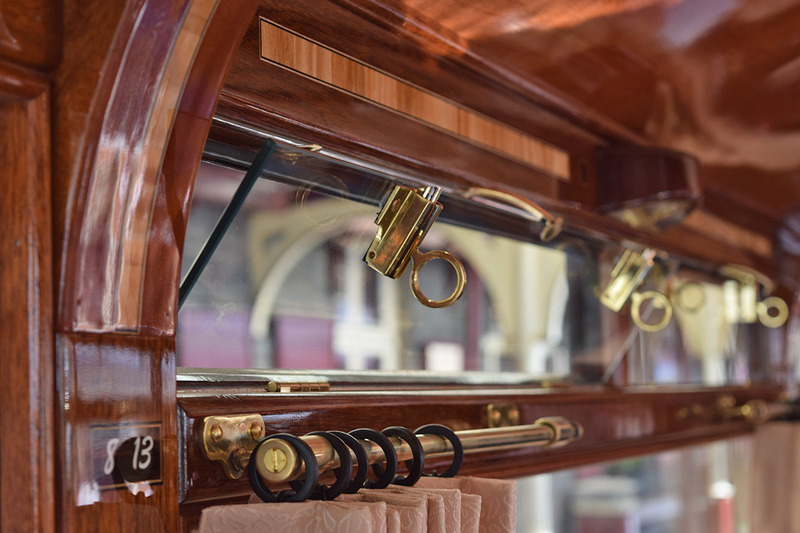 Once on board the train, the artists were quick to notice and admire the artistry and skill which had gone into creating Pullman Observation Carriage Number 152. Dylan Williams, Curator of Oriel Brondanw, near Llanfrothen said, “The skill, craftsmanship and attention to detail is simply astonishing. The whole carriage is a work of art”. With its lacquered wood-panelled interior, glistening in the radiance of discreetly-placed spotlights, each encased in walnut and maple veneer and with a royal blue carpet and matching upholstered, high-backed chairs, the carriage is indeed a work of art, not only that, it is a locally produced work of art. 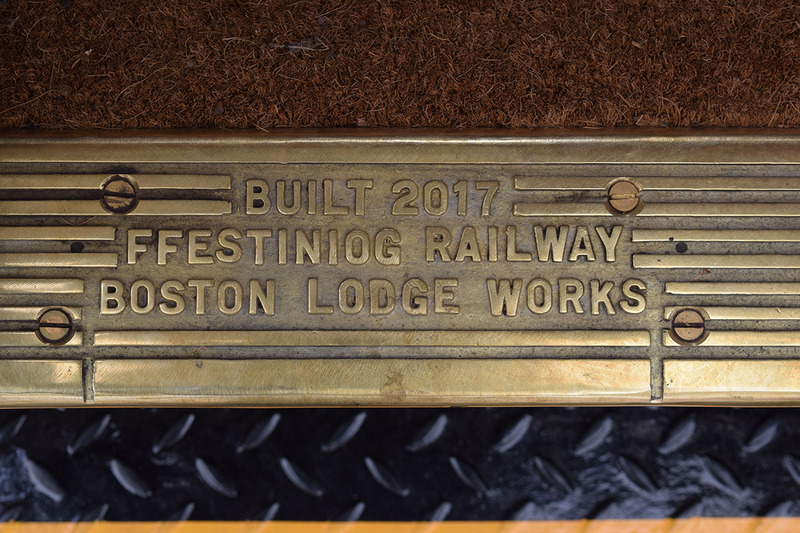 Paul Lewin, General Manager of Ffestiniog and Welsh Highland Railways explained, “This carriage, which has taken two years to build and cost £180,000, has been entirely designed and hand built on site in our own Boston Lodge workshops, near Porthmadog. Every skill and discipline required to take it from paper drawing to finished carriage; the engineers, metalworkers, carpenters, electricians, painters and sign-writers are all employees of the Railway”. “Not only that,” Paul Lewin continued, “many of them are of a younger generation that have been trained and had the skills passed down to them by the older craftsman, the majority of whom have now retired”. Pullman Observation Carriage Number 152 is the third such carriage to have been built for the Ffestiniog & Welsh Highland Railways in this way, which means that every train on the Ffestiniog Railway will have an observation carriage for passengers to enjoy and with a fourth in production, these beautiful Pullman Observation carriages will make a fantastic contribution to both the Ffestiniog & Welsh Highland Railways.